Linda Madsen is an associate professor at the Centre for Care Research South, University of South-Eastern Norway. She is interested in care studies in a wide sense; with her research she cares for issues related to social welfare, animals and more than human environments, emergency and disaster response, corporate (social) responsibility, and production and visualization of knowledge and the political implications thereof. Madsen’s research is anchored within the fields of social anthropology and science and technology studies (STS). She holds a PhD from TIK Centre for Technology, Innovation and Culture, University of Oslo, and she has studied and conducted fieldwork in Turkey. Based on her PhD project, she has published the book Translocal Connections of Bioinsecurity: Avian Influenza in Turkey and the Becoming of a Global Threat (Lit Verlag 2016). 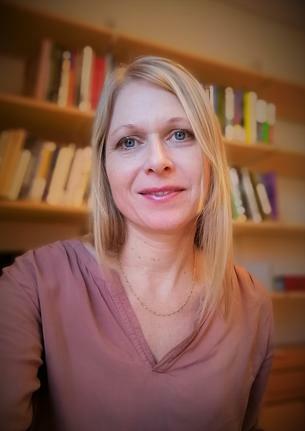 From 2016-2019 she held a postdoctoral position at the Institute for Sociology and the Centre for Security and Society at the University of Freiburg, Germany, where she participated in the interdisciplinary civil security research project, RESIBES - Resilienz durch Helfernetzwerke zur Bewältigung von Krisen und Katastrophen. She also taught courses on STS and corporate social responsibility (CSR) at Liberal Arts and Sciences programme at the University College Freiburg (UCF).